A 42-liter internal frame canyoneering-specific pack, the Shinumo, is the High Priestess of Imlay’s line, offering excellent comfort in addition to canyon compatibility like no other. 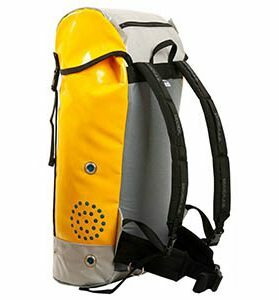 Big enough for long day-canyons carrying too much stuff, or for lightweight overnights. The Shinumo is the women’s version of our Heaps pack, built for smaller, curvier bodies.on both sides and the back; a bit more space. 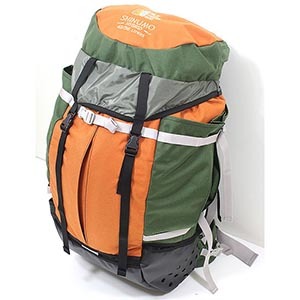 A 42-liter internal frame canyoneering-specific pack, the Shinumo, is the High Priestess of Imlay’s line, offering excellent comfort in addition to canyon compatibility like no other. Big enough for long day-canyons carrying too much stuff, or for lightweight overnights. The Shinumo is the women’s version of our Heaps pack, built for smaller, curvier bodies. The pack body is 2″ shorter, then made wider and deeper to reclaim the volume lost to shortening. The suspension has been re-engineered to fit women, especially smaller women. The hipbelt is shorter and curvier. The shoulder straps are narrower (than previous Imlay packs) and shorter, and set a bit closer together. 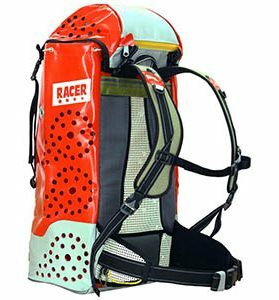 These Hybrid packs feature perforated PVC-laminate fabric on the highest abrasion areas – the bottom and the bottom of the sides. The pleated outside pockets have been enlarged, and there are now pockets on both sides and the back; a bit more space. Worthy Suspension: well padded, with a dual aluminum-stay Tube-Light frame design and nicely shaped hip belt. Zippered Lid: clips off easily to stow in your dry bag. Tri-Fold Bivy Pad: 1/4 inch pad fits in the lining of the pack providing a comfy carry and a bit of flotation – and unfolds to offer minimal comfort in an unplanned bivy.